The below column originally appeared in The Orchard Press Online Mystery Magazine in 2006. A British Royal Navy Commander visited Jamaica in 1944 for a conference on the threat of Nazi U-boats in the Caribbean. He fell in love with the island. 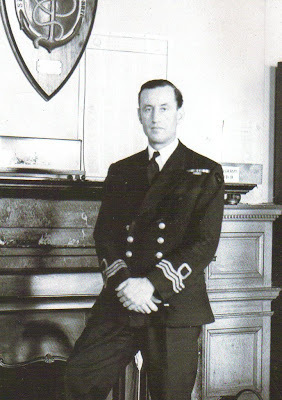 Commander Ian Fleming was a slim and athletic 6'2", with black hair and blue eyes. Many of his women friends described him as having cruel good looks, his broken nose adding a touch of ruggedness. Fleming returned to Jamaica after the war and purchased an old donkey race track in Oracabessa on the North Coast. His built his villa – called Goldeneye - on a bluff overlooking a private beach and the Caribbean. He would spend every January and February there until his death in 1964. To get over the shock of getting married at the age of 44, he often said, he sat down at his typewriter at Goldeneye in 1952 and wrote his first novel Casino Royale. The novel, published in 1953, introduced the world to a debonair and deadly British secret agent named Bond, James Bond. Casino Royale, the 21st installment in the world’s most successful film series featuring Fleming’s Bond, opened on November 17th. The thriller features a new actor in the role of Bond, Daniel Craig. The film was directed by Martin Campbell, who also directed Pierce Brosnan’s first outing as Bond in GoldenEye in 1995. Casino Royale was filmed in the Czech Republic, the Bahamas, Italy and the United Kingdom. 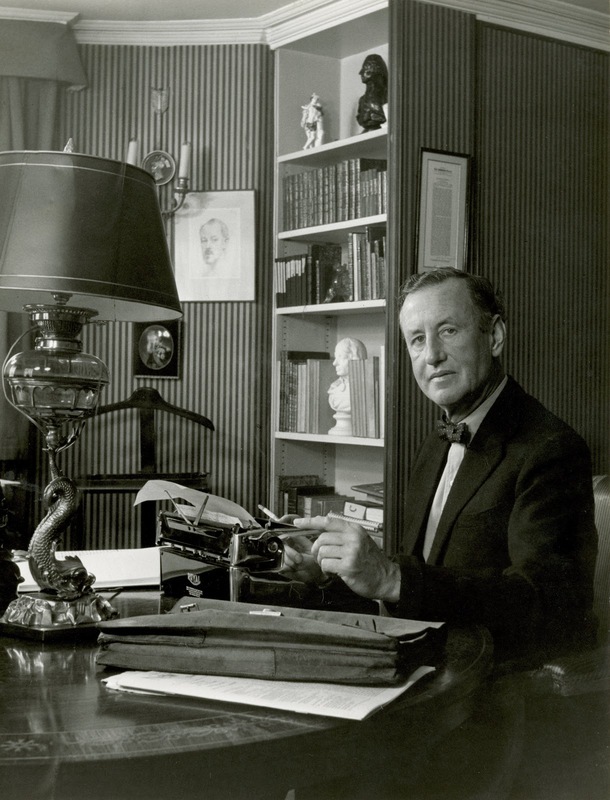 The film has opened to rave reviews and box office success and the film has fueled a renewed interest and respect for Ian Fleming, who died in 1964 at the age of 56. Since first viewing Dr No in a South Philadelphia movie theater in 1963 when I was eleven years old, I’ve been a serious Bond fan. I went on to read the Fleming novels as a pre-teen and teenager and I was amazed that they were darker, more complex, and far more intriguing than the films. I’ve been a Fleming aficionado ever since. Born on May 28th 1908 and educated at Eton and Sandhurst , Fleming worked as a journalist at Reuters prior to WWII, reporting from London , Berlin and Moscow. He was a special correspondent for The Times of London in Moscow in 1939 and entered British Naval Intelligence later that year. He served as the assistant to the Director of Naval Intelligence. After the war, he became The Sunday Times' foreign manager. His experience as a naval intelligence officer and a journalist enabled him to write knowledgeably about espionage, crime and terrorism. The character of James Bond found in the novels was based in part on the WWII commandos, secret agents and intelligence officers Fleming met during his service. He conceived of Bond as merely a cipher, a blunt instrument for Her Majesty’s Secret Service. But Fleming said he also infused Bond with his own personal quirks and characteristics. The Bond character in the films had become exaggerated to the point of self-parody, so I was pleased that the producers were returning to the first novel as source material and made Casino Royale as a true thriller. The choice of actor to portray this back-to-basics Bond set off a heated debate in work places, bars, cafes and on the Internet. The selection of the blond and not particularly handsome Craig enraged many fans that preferred Brosnan, the previous actor to portray Bond in four films. But for many of the older fans, like me, there is only one actor who is the ideal Bond - Sean Connery. Beginning in 1962 with Dr No, the Bond films attracted a world-wide audience that loved the suave, yet rugged Connery as Bond. From Russia With Love and Goldfinger followed and the James Bond craze ignited, creating imitators in film, TV, novels, advertisements and launching a huge business in merchandising and collectibles. To date, the Bond film series has earned more than $4 billion, according to the-numbers.com. Prior to the release of the new film, I set out to talk to a number of other Fleming aficionados about the film, the new actor and the cultural influence of Ian Fleming and his blunt instrument, James Bond. “Bond had a tremendous influence on film, television, style and the political spectrum,” said Steven Watt, an English Professor at Indiana University and the author of Ian Fleming and James Bond: The Cultural Politics of 007. “Who else in the 1960s was talking about nuclear blackmail and chemical and biological warfare?” Watt added. Watt noted that there was much to be learned from Fleming in terms of the evolution of the enemies of the West and on the level of sexuality, ethnicity, global politics, and popular culture. Watt was one of the organizers of a conference on Ian Fleming at Indiana University in 2003. The University’s Lilly Rare Library purchased Ian Fleming’s entire library in the 1970s, including his papers, the literature he owned, naval and military histories and unpublished and little-known works. “I think he holds up pretty well in the context of Dashiell Hammett and Raymond Chandler,” Watt said. Watt explained that the English Department and the Lilly Library sponsored the conference, which attracted academics, historians, scholars and writers. Watt explained that one group took the position that if you don’t know anything about Britain during the Cold War, you don’t know anything about Fleming and the audience for whom he wrote these novels, and there was a second group, a series of younger scholars, who said they were not interested in the novels, they were only interested in the way the characters evolved on film. Watt, a scholar of Anglo-Irish culture, whose major interests are 19th and 20th Century Irish culture, has published books on James Joyce and Sean O’Casey and a book on Samuel Beckett. He also considers himself a scholar on Fleming and he teaches a course on Cold War culture that includes Fleming in the 1950s and 60s. Watt said that as the Connery era grew, the films became less and less reliant on the novels and by the time Connery came back for Diamonds Are Forever and Roger Moore assumed the role, they left the novels behind. Watt said he was glad the producers were returning to the novels as a source for the newest film. He saw Dr No and From Russia With Love on their original theatrical release in the United Kingdom , but Graham Rye said it wasn’t until he saw Goldfinger in 1964 that he was inspired to read the Fleming novels. He was so hooked, he said, that his interest in Bond has been his career for more than 25 years. “I think the success of both the books and the films are down to both appearing at just the right time in a historical sense,” said Rye , who is the editor and publisher of 007 MAGAZINE OnLine (http://www.007magazine.co.uk/) and the author of The James Bond Girls. Rye went on to say that after all the kitchen-sink/social dramas and neo-realism of British cinema of the Forties and Fifties, film producers Cubby Broccoli and Harry Saltzman came together at exactly the right time to form a partnership in cinema that remains unequaled to this day. Rye said that George Lazenby could have grown into a Bond who would have given Connery competition, judging by his first and only outing in 1969’s On Her Majesty's Secret Service. Rye believes the film is the best overall depiction of Fleming’s Bond in the film series, due mostly the film’s director Peter Hunt, and it’s his favorite Bond film and book. “Roger Moore could never take playing Bond seriously, which was fine by me because I could never take Roger Moore playing Bond seriously, and for the following seven films over the next 12 years I’m afraid my interest in the Bond film series reached an all-time low,” Rye said. Rye said that Timothy Dalton’s fresh new approach to the Bond role in 1987’s The Living Daylights won him and the series many new fans in a debut that Rye felt was as exciting as it was impressive. Unfortunately, Rye said this all fell apart in his second Bond picture, 1989’s Licence To Kill. Rye explained that the six-year delay between Bond pictures caused by legal wrangles between EON Productions and the financing studio MGM, made it clear that EON should search for a new Bond actor for their 17th film. Pierce Brosnan, who ironically lost out to Dalton in the role for The Living Daylights, took over as Bond in the 1995 GoldenEye. Rye said the film made significantly more than its predecessor, but was far less impressive. “Brosnan became christened MGM’s ‘Billion Dollar Bond’ in all the trade ads, before eventually being unceremoniously dumped by the producers after the huge financial success, but almost universal panning, of 2002’s Die Another Day,” Rye said. Rye believes that Daniel Craig will make an excellent Bond. Noting that the world has changed almost beyond recognition in his lifetime, and since Dr. No in 1962, the 44-year life cycle of the series of films has reflected the changing world in which they are made, so it seems sensible to Rye to “reboot” the character for the 21st century-style of film making. I agree with Rye, but differ on his assessment of License To Kill, which I very much liked. I liked that the film took material from Fleming's novels, such as the bait warehouse scene in Florida. I especially liked Robert Davi as the drug kingpin villain. And I also liked Dalton's portrayal of Bond. In my view, he offers the second best Bond portrayal in the series, with Connery, of course, being the best. Now a new generation will be reading the Fleming novels in part due to the new film and in part to the re-issue of the novels by Penguin Press’s Modern Classics. “Ian Fleming has shaped British sensibilities now for over half a century and by almost any standard the Bond novels have to be viewed as modern classics,” said Simon Winder, the publishing director of Penguin Press and the author of The Man Who Saved Britain: A Personal Journey into the Disturbing World of James Bond, a humorous look at the Bond phenomenon. Winder ran Penguin Modern Classics and was involved in buying the rights for Penguin to publish the Bond novels. He said it struck him as both provocative and correct to put the Fleming novels in the series. “Fleming is one of the three great 1950s visionaries in British literature--together with Arthur C. Clarke and J R R Tolkien - all despised at the time as 'genre' writers, but who have between them had an incalculable effect on world literature, while their notionally more serious contemporaries have almost faded from sight,” Winder said. Winder said he wrote his book on Fleming and Bond as he was trying to make sense of his own experience – that of a fan in the early 1970s, who at age ten, first watched Live and Let Die. Bond was invented by Fleming, Winder explained, to reassure the British that while the day-to-day reality was a humiliating fiasco, in secret they were still saving the world. This struck him as an amusing, though admittedly not entirely original, perception and the book plays with this idea through Fleming's life, through the books and the films. Winder said that he would like to see the producers remake Live and Let Die, Diamonds Are Forever, and the other poor Bond films, with the second try being more faithful to the Fleming novels in the way Casino Royale has promised to be. I agree. “Daniel Craig seems to be really good - he was terrifically nasty in Munich and has a sort of fish-eyed menace which certainly gives him the potential,” Winder said. I was initially displeased with the choice of Craig, thinking that Clive Owen was the only young actor to fit Fleming’s physical description and who could deliver a Bond comparable to Connery’s Bond. Having now seen the film, I still think Owen would have been the better choice, but I was pleased with Craig’s portrayal and the film. Although I would have preferred the film to be a period piece set in Bond’s true time – the 1950s and early 60s – and I truly miss John Barry’s music, the producers did a fine job of updating the plot from the threat of post-WWII communism to the threat of modern terrorism. The film is fast-paced, gripping and intelligent. The introduction of Bond, pre-00 status, was very clever, as was the ending of the film, which made one anxious for the next film. The producers believe that Craig has the right stuff to play Bond truer to Fleming’s character and have enough faith in him that even before the film’s release, they announced that he will reprise the role in the 22nd Bond film, which will released on May 2, 2008, the year of the centenary of Fleming’s birth. Ian Fleming Publications Ltd, which is run by Fleming’s family, has commissioned a well-known author to write a new James Bond novel, marking the centenary. The author will be kept a secret until the publication.